King Mohammed VI, the Commander of the Faithful, on Friday launched a religious talk show to be broadcast by the Mohammed VI Radio of the Holy Quran and Assadissa TV channel. The initiative is meant to counter attempts to distort the Hadith, Prophet Mohammed’s sayings, at a time false Hadiths are circulated by some media, especially via the Internet, for ideological reasons. 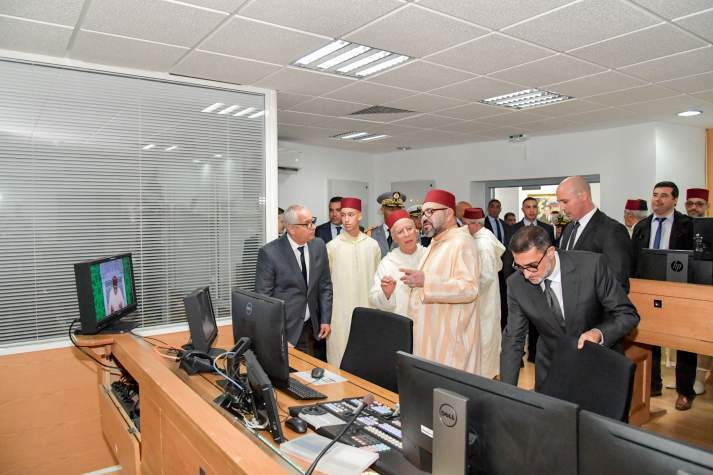 From the headquarters of the National Broadcasting Corporation (SNRT) in Rabat, the King oversaw the launch of the new religious talk show, “Addourous Al Hadithia”. This new royal initiative is meant to disseminate the authentic sayings of the Prophet and their meanings and to educate people about the Prophet’s Tradition, which are the second source of Islam. The new program also aims to highlight the unity of the Moroccan Nation when it comes to the religious rite and to counter attempts to distort the Islamic religion. The Sovereign, who was accompanied by Crown Prince Moulay El Hassan gave the signal for the recording and the airing of the first talk show, anchored by the Secretary General of the Higher Council of Ulemas, Professor Mohamed Yssef. The weekly “Addourous Alhadithia” program will include introductory lectures on the Prophet’s recommendations concerning the transmission of his sayings, on his companions and their ethics, and the method of Imam Malik in the authentication, collection and codification of the Hadith. The program is supervised by the Higher Council of Ulemas and Al-Quaraouyine University. Written by: Jaber Ali on November 3, 2018. Posted by Jaber Ali on Nov 3 2018. Filed under Headlines, World News. You can follow any responses to this entry through the RSS 2.0. Both comments and pings are currently closed.